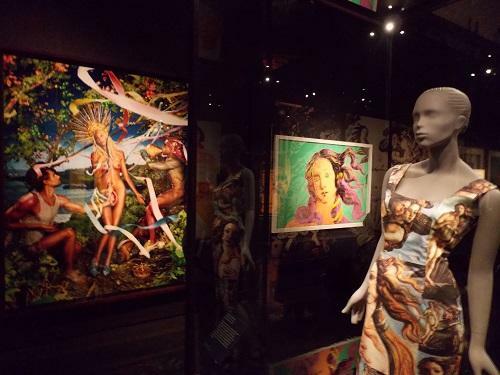 David LaChapelle's work is a part of this innovative exhibition that has been jointly organised by the V&A in partnership with Staatliche Museen zu Berlin to explore the enduring impact of the Florentine painter Sandro Botticelli (1445-1510) from the Pre-Raphaelites to today. Botticelli is now celebrated as one of the greatest artists of all time, but was largely forgotten after his death, only to be rediscovered around 1800. It will include around 40 original works by Botticelli from great collections across the world shown alongside more recent masterpieces of art and design including work by Dante Gabriel Rossetti, Edward Burne-Jones, René Magritte, Elsa Schiaparelli and Andy Warhol.